The Windy 25’ Mirage won all the awards when she launched and was dubbed the best handling powerboat of her size on the planet. CARTUXA II was delivered in 2006 and she has been owned by her current throttle operative for the past 5 years. During this time she has lived on the dock outside his summer house in Sweden and when not in used has been stored under cover with the local service agent. During his ownership she has spent 5 months afloat and 55 months under cover. Usage has been maximum fun but hardly comprehensive – she has cruised a total of 824 miles and the engine has worked for 139 hours. An awesome piece of kit for £62,000. 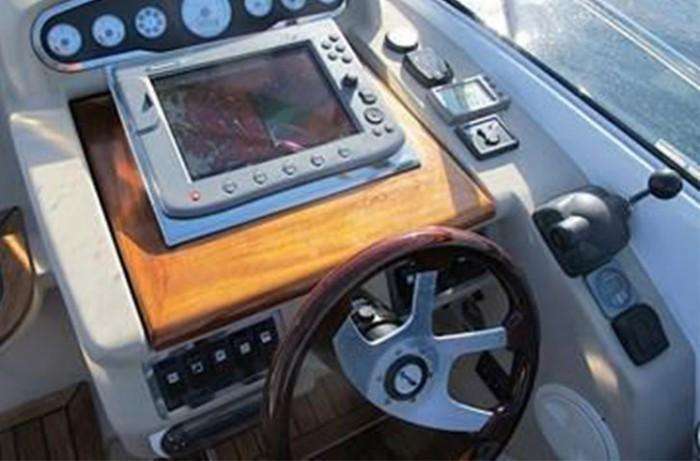 Yacht Details – Windy 25 Mirage CARTUXA. This Windy Boat is now sold, click here to view all Windy Brokerage yachts.